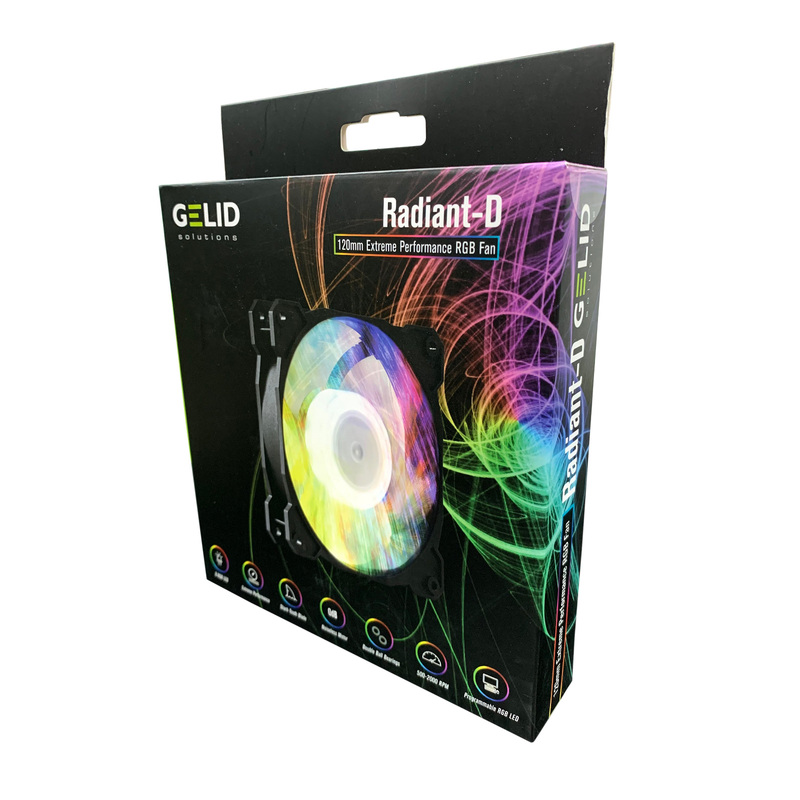 Brewed with top technologies and passion, the Radiant-D RGB LED Fan is a special craft for modders and gaming enthusiasts. It adds programmable Digital-RGB control with individually addressable LEDs that enables variable color settings for each of the 9 LEDs installed to the fan and fosters a stunningly vivid RGB LED lighting experience. 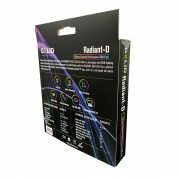 Along with the extreme performance profile and bold design, all that makes the Radiant-D a perfect ingredient for gaming rigs and custom PCs. Just try it, ignite full colors of life inside your PC! 9 Full Color RGB LEDs: circularly mounted high-bright LEDs for a stunningly vivid RGB Lighting experience. Programmable Digital-RGB Control: limitless color modes and lighting effects via individually addressable RGB LEDs. 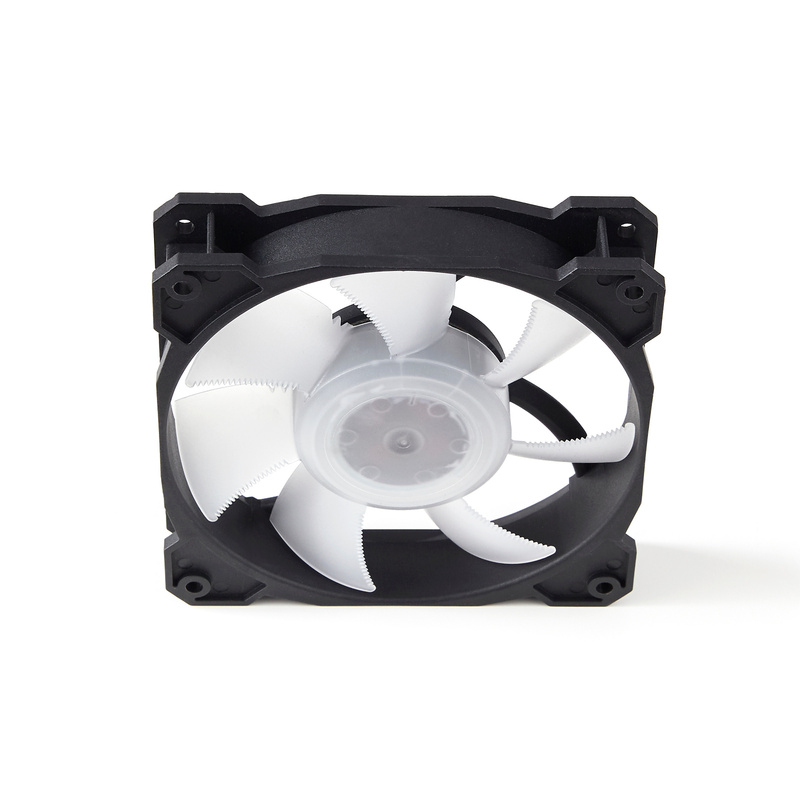 Extreme Static Pressure: powerful impeller with the unprecedented static pressure and performance profile. Broad Compatibility: all modern motherboards with RGB Lighting controls and 5V Addressable headers are supported. 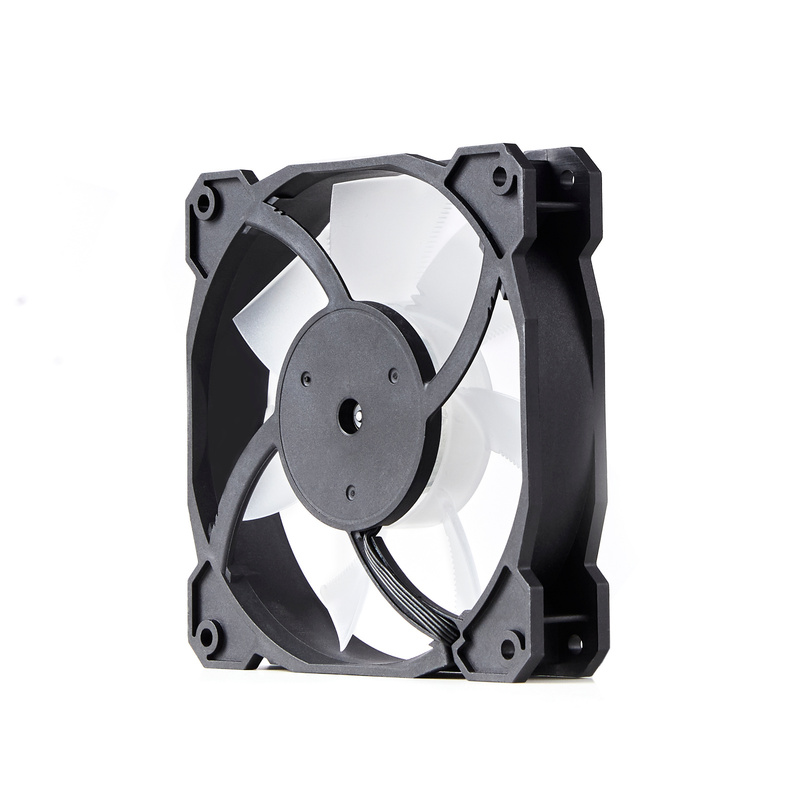 In standard RGB applications, this type of fans uses the standard RGB LED header with 4-wiring: 12V, R, G, B. All the LEDs integrated with the fan are then connected onto the same 4 busses, they are all controlled as a whole, so they each will output exactly the same color. It’s like you set color for an object in your graphics editor, for example, Red: 25, Green: 50 and Blue: 125, an external RGB controller or motherboard drives the standard RGB LED fan in the same way by altering power on the color busses at a proper duty cycle – the Red, Green and Blue bus, respectively – to output the desired RGB color. Of course, colors can be managed dynamically, with numerous lighting effects in series. But uniformity of the LEDs – one color for all the LEDs at a time – limits RGB lighting effects to some degree. 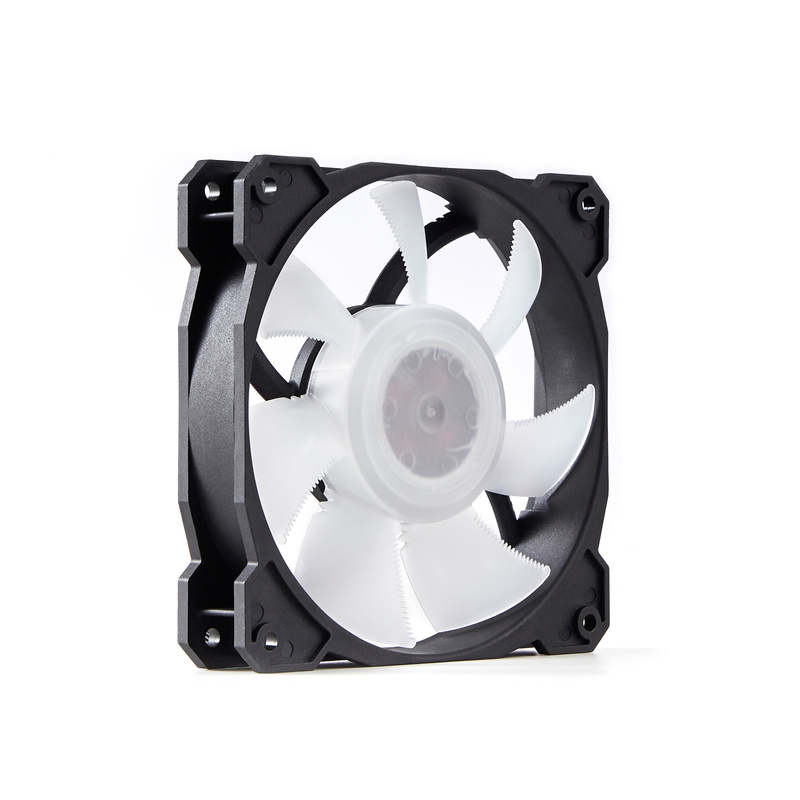 Unlike the standard RGB fans, controls of the individually addressable RGB fans are digital in nature. 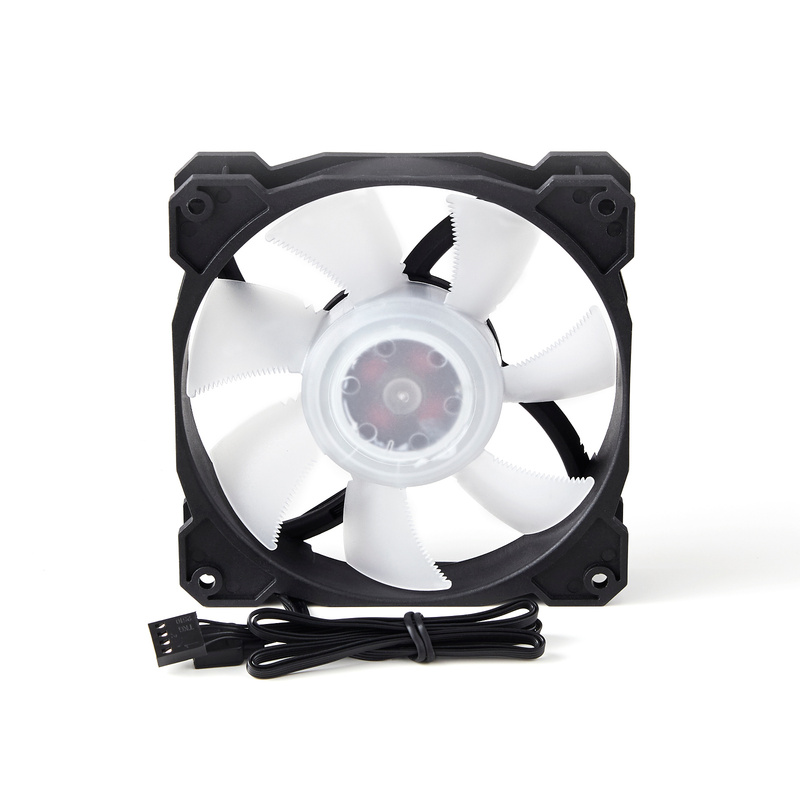 For this case, the fans use the addressable RGB LED header with 3-wiring: 5V, D, Ground. 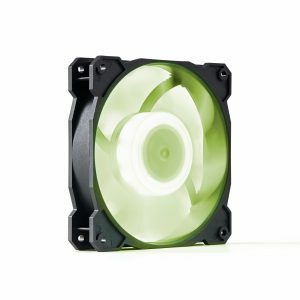 And the LEDs integrated with the fan have a special companion IC which drives each of them individually: it resides on a one-wire serial bus and sends commands like “LEDs number 3, 5 and 6: switch to green” to set the desired color per individual LED. So, each of the LEDs has its own ID and is controlled independently from the others. In turn, an external app can be used to program the IC giving virtually unlimited options of color modes and effects. 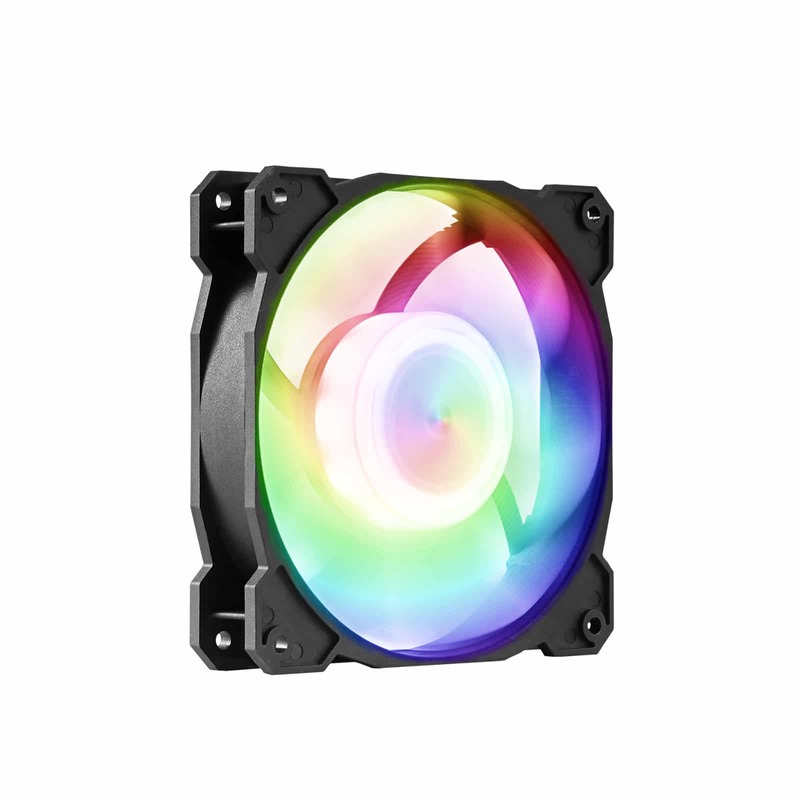 Rainbow-circle, rotating colors, multipoint pulsating colors and some other stunningly vivid RGB lighting effects are available only with the individually addressable RGB fans. But, as far as this type of fans supports digital RGB controls only, it’s up to your motherboard to provide a full-featured RGB app to discover the excellence of RGB lighting. 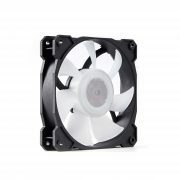 Please refer to your motherboard manual before connecting the individually addressable RGB fans. 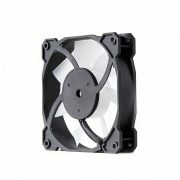 The fan is RoHS and WEEE conform and carries a 5 year warranty. 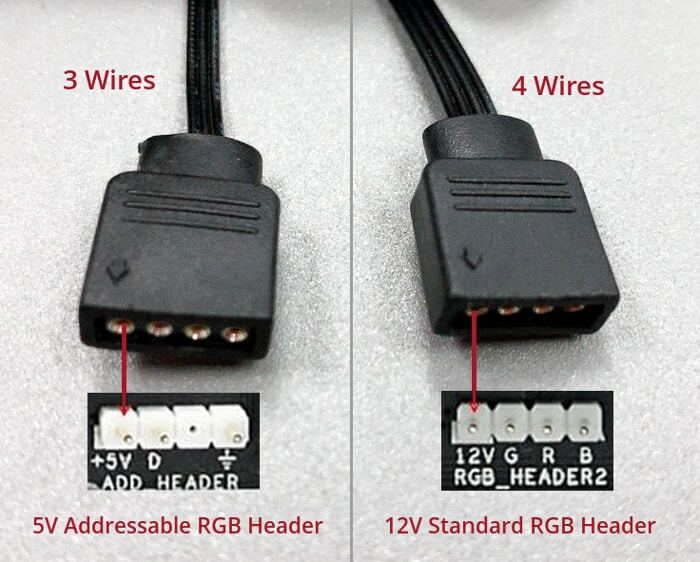 Caution: the RGB cable can support connection to Addressable RBG (5V) header only. 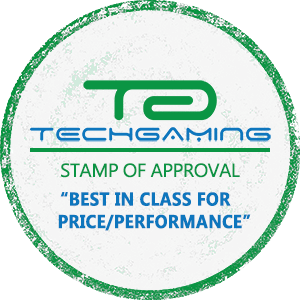 Please refer to your mainboard installation manual for details. 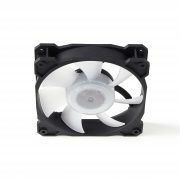 Plugging into the standard RGB Header (12V) may damage your fan!